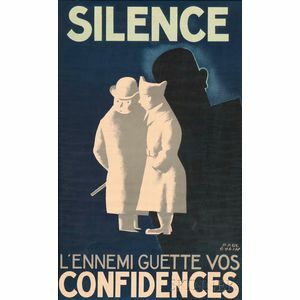 Silence l'ennemi guette vos confidences, 1939. Signed and identified within the matrix. 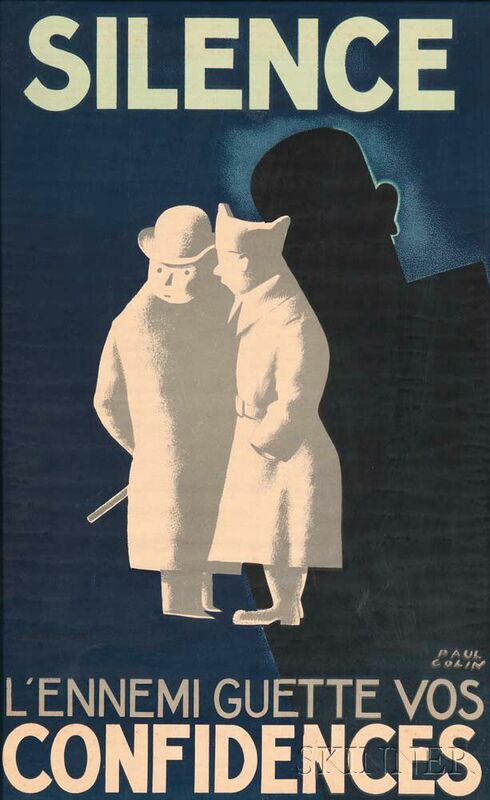 Color lithographic poster, sight size 23 1/8 x 14 1/2 in. (58.5 x 36.7 cm), framed. Condition: Softly pressed horizontal creases, cockling, foxing, not examined out of frame.